Well done, Singapore for landing yourself in the international press again. For all the wrong reasons needless to say. A google search amongst international media reads, “Displeased by rare graffiti, Singapore wants blood from British tagger” (Trueslant), “Graffiti Briton faces the cane in Singapore” (Metro UK).. Headlines all over Singapore read about how Singapore is stepping up to arrest one half of the reclusive graffiti superstars who have left their mark on trains all around the world. But what’s really keeping everyone’s eyes peeled on this case is the fact that they face the possibility of getting their arses whipped by the much feared Singapore rattan, probably as famous (or infamous) as our own LKY. Most Singaporeans would recall the much hyped about case in 1994 where Michael Fay got caned from vandalism of several cars despite pleas from Bill Clinton himself. I must emphasize that happened SIXTEEN years ago, at a time where graffiti was practically unheard of or non-existent, no ‘designated areas’ for spraypainting in Scapepark established by the government themselves of course. Singapore has also made it known in recent years, they should be embracing creativity and art in a bid to make Singapore a lively and vibrant city. 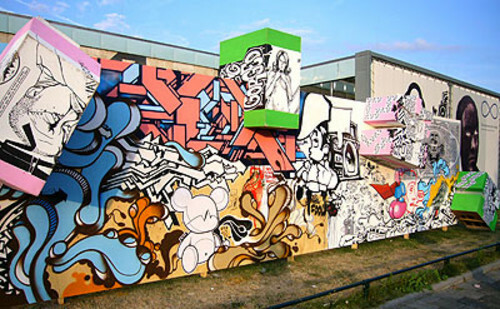 Graffiti art is different from vandalism. 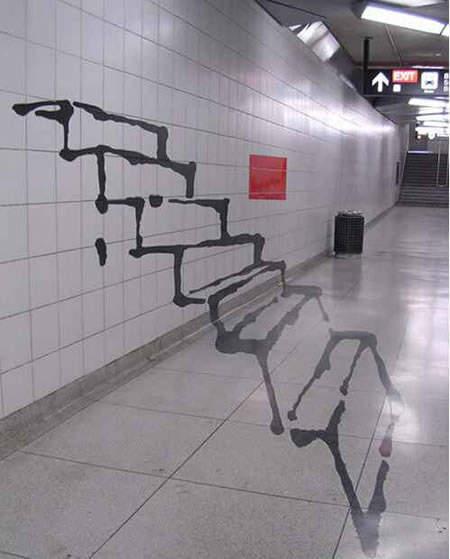 It is a way of expression and form of urban art that has grown to be widely accepted in most countries. I am not saying, unleash all budding spray painters and have them spray on every train but it is the fact that these two face the penalty of jail and being caned that truly disturbs and bugs me. Seriously is it that unforgivable a crime than dubious auditing in a mega church that requires this sort of punishment usually reserved for major crimes (talking’ bout the cane here)? Hell, they have even set the Interpol on the Briton to bring him back for his persecution. Why don’t I see that much zest and finesse in bringing the Romanian hit-and-run guy back? Isn’t the public opinion of us bad enough as it is? Topping the world chart for clocking the most number of work hours, being the most competitive country in the world..Are we neck to neck with North Korea? Should the government be proud of themselves? (This is one of the reasons I would never work for the goverment). Turn the situation around and have all your trains graffiti painted instead of the same old sterile trains that blast brain washing announcements not to step in front of the yellow line, not to lean against the door…I could go on and on. This country is just getting more militant-like and repressive to live in. Just do the right thing Singapore.